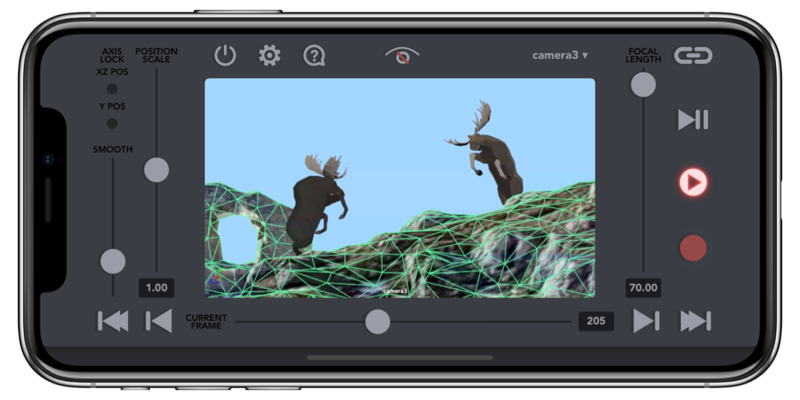 Create stunning camera animations intuitively, just like with a real camera. Forget about the hassle of manual keyframing. Move your Apple® device in any direction, VirtuCamera will capture the motion and instantly send it over Wi-Fi to the camera in your 3D software. 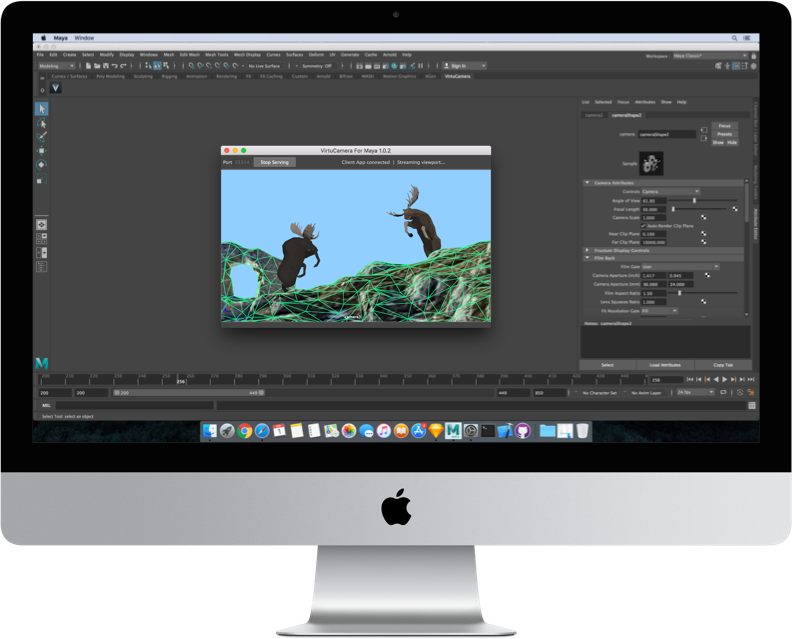 When you are ready, push the Rec button to store the motion in keyframes. Manage every aspect of the playback. Change the camera you want to control at any time. Set the focal length with a slider and record it. Scale camera movements to travel long distances. Lock camera translation for XZ plane and/or Y axis. See your scene through the App in real time. VirtuCamera streams the viewport over Wi-Fi so you don’t miss any detail. Device motion and viewport streaming are captured and sent at up to 60 frames per second. You can configure this parameter at your needs. Whether you are a developer or a big company, you can customize the code for your needs or even adapt it to any 3D software. We also plan to release new plug-ins for other 3D softwares. For a step-by-step guide on how to install it, go to Tutorials. VirtuCameraMaya is licensed under the MIT License and makes use of FFmpeg command line tool (included with the download) for the viewport streaming option. FFmpeg is licensed under GPL and a copy of this license is included with VirtuCameraMaya. If you want to compile FFmpeg by yourself, we provide the source code. If you have questions about how to use VirtuCamera or if you need support, feel free to contact us. Autodesk, Maya and the Maya logo are registered trademarks or trademarks of Autodesk, Inc., and/or its subsidiaries and/or affiliates in the USA and/or other countries.